Be the center of attention with a private yoga instructor. Do you want to add yoga to your healthy lifestyle and don’t know where to begin? Do you feel you’ve reached a plateau in your personal practice and want to progress with the guidance of a private yoga instructor? Are you searching for a very special gift to give a loved-one or co-worker? Are you or a loved one working through illness, injury, addiction, anxiety or trauma and feel that yoga may be supportive to a more successful recovery? 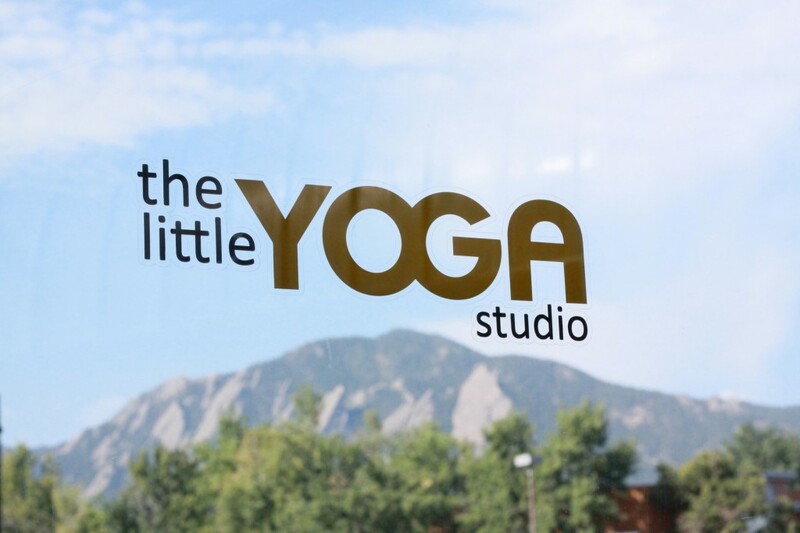 The Little Yoga Studio offers Boulder’s premier private yoga lessons led by none-other than our very own studio owner, Kelly Elle Kenworthy. Your private yoga lessons will be customized to meet your individual goals, fitness level and body type. Private lessons offer the personalized instruction necessary to develop a greater understanding of yoga and the many benefits, including optimizing your health, attaining a healthy body weight, reducing stress, reducing anxiety, fine tuning your practice and deepening your connection to your breath. A private yoga instructor is appropriate for virtually all fitness levels. Private yoga lessons are based entirely on your needs. Your private yoga instructor works with you to create a practice suitable for where you are now. Private lessons are offered at our studios in Boulder, CO or at your home or office. We also offer Semi-Private’s, Corporate Classes and Private Yoga Parties. See below for the price breakdown. With private yoga lessons, you’ll zero in on your goals and get personalized instruction based on your health, body type and lifestyle — and on your time..
hint hint…private yoga lessons make an extraordinary gift! Semi-privates are a great way to have a more intimate experience than a public class. Semi-private sessions have a minimum of 2 and maximum of 5 students, allowing for many of the benefits of private yoga lessons, while sharing the cost with others. Semi-privates cost $50 per class per student. The Little Yoga Studio is excited to offer in-class privates, a unique form of guided yoga instruction. Within a group vinyasa class, you receive one-on-one hands-on assists throughout the entire experience from beginning through to savasana. The teacher guides you through the poses, optimizing your alignment and refining your form. Treat yourself to this deeply nourishing experience. In-class privates cost $65.00 per class and includes our $10.00 drop in rate. Schedule your yoga party for birthdays, pre (or post)-wedding activities, holiday gatherings, family reunions spiritual events, spa-days, post race recovery, graduations or any reason to celebrate! This offer is perfect for team building, increasing staff productivity and morale, customer and client appreciation and special corporate events. Corporate Classes and Group Privates are $200 for up to 20 people at The Little Yoga Studio location, and $275 at an offsite location including all necessary props. Fees are calculated at an hourly rate. Fill out the form below to learn more about private yoga lessons and schedule a session. Do you want to learn more about private yoga lessons or sign up for one? Send us a message, and a Little Yoga Studio advisor will be in touch!